Automotive Insurance | Rehoboth Beach, DE | Wilmington, DE | Williams Insurance Agency, Inc. 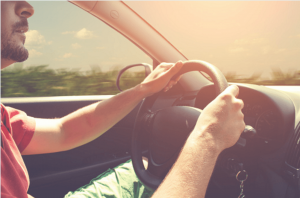 Drivers throughout Delaware have looked to the Williams Insurance Agency, Inc. in Rehoboth Beach, DE, and Wilmington, DE, to serve their car and vehicle insurance needs since 1948. Our agents continue that tradition by delivering the superior customer service that clients of the Williams Insurance Agency, Inc. have learned to expect. Because the Williams Insurance Agency, Inc. is an independent agency representing many of the top auto insurance carriers in the country, we have the ability to get you the best possible car insurance coverage at an affordable rate. Regardless of where you live in Delaware, all drivers are required by state law to carry a minimum amount of auto insurance liability coverage. Buying just the minimum amount of liability coverage as required by state law might seem like a good idea – until you are involved in an accident. If you are found at fault in an accident where there is extensive property damage or bodily injury, your financial responsibility could easily exceed the limits of your auto insurance coverage. In that case, you could be responsible for paying many thousands of dollars in damages from your own pocket. Could you afford to pay $50,000, $100,000, or more? Williams Insurance Agency, Inc. can examine your personal profile to make sure you have adequate coverage limits for property and bodily injury liability. Williams Insurance Agency, can also advise you about setting the right level of deductibles for your car insurance coverage that will keep your premiums low without having excessive out-of-pocket expenses when you have a claim. We can also provide affordable comprehensive coverage for your car that will cover loss or damage due to theft, fire, vandalism, hitting a deer, glass breakage, or other damage not sustained in an accident. Our agents can show you how to save money on your auto insurance premiums by qualifying for discounts such as multi-policy discounts, taking a defensive driving course, maintaining a safe-driving record, owning a car equipped with certain safety features, and more. Contact Williams Insurance Agency for a personalized quote on your vehicle insurance needs. We will get you the auto insurance coverage you need at a price you can afford. Because the Williams Insurance Agency, Inc. makes customer service a priority, we will be there when you need us with two offices to serve you. Contact our Rehoboth Beach office at 302-227-2501, or our Wilmington, DE, office at 302-239-5500.